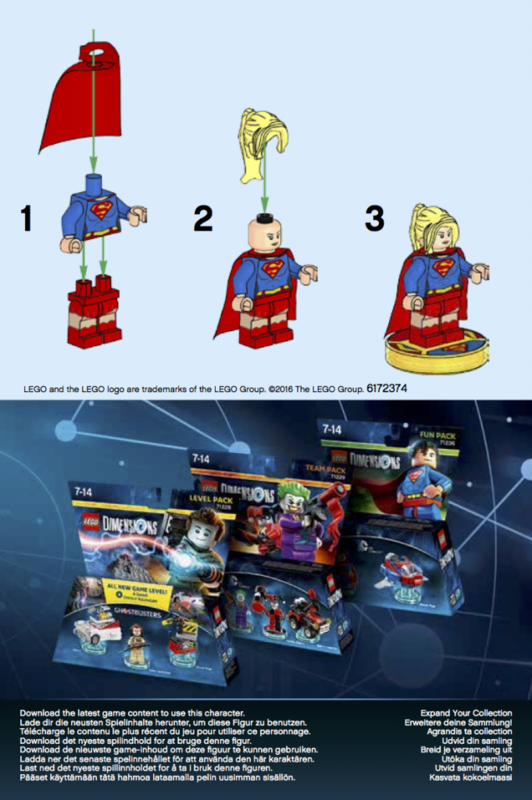 FIRST LOOK: LEGO Dimensions Supergirl building instructions; Pointing To Exclusive Promotion? … and perhaps it’s pointing to a promotion? 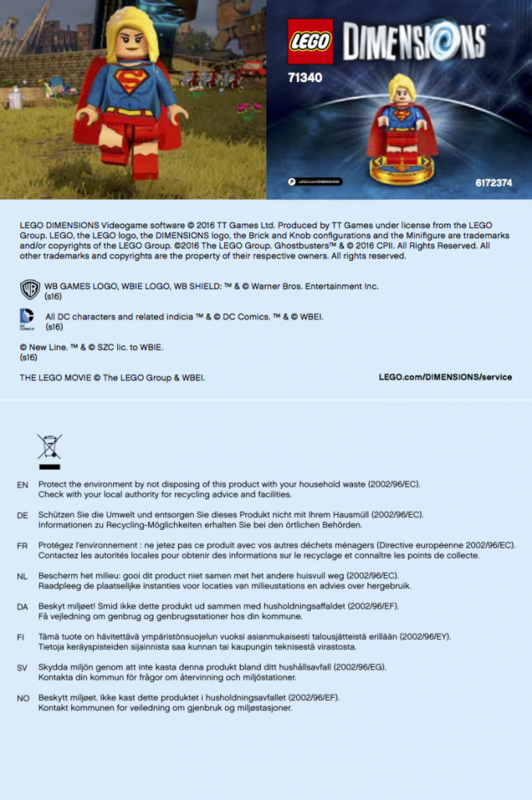 LEGO uploaded the official building instructions for the LEGO Dimensions Supergirl figure on their website (PDF), and you will notice a couple of oddities. The base is gold. Not the standard blue, but gold. The instructions seems small (both in length and in actual size). There is nothing else… just the minifigure instructions. With E3 coming up, is this going to be an exclusive giveaway to the media? Will it be handed out at Toys”R”Us? Who knows! It does appear to be for something rather than a retail release, but we’ll have to wait and see. FIRST LOOK: Supergirl LEGO Dimensions Polybag is… exclusive?